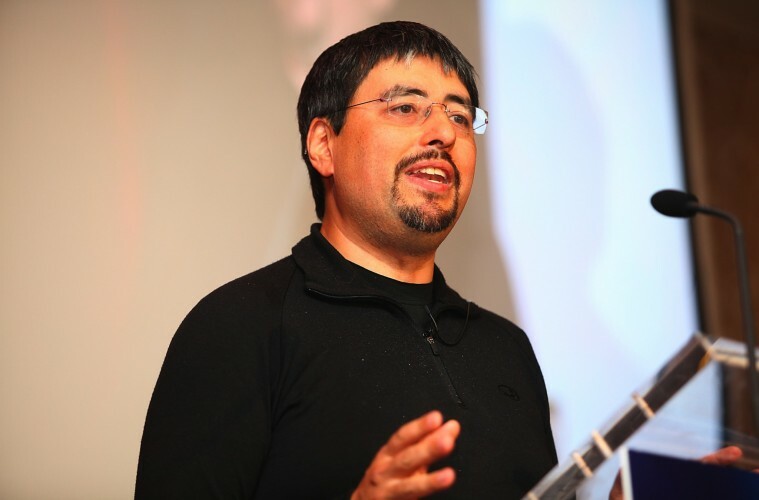 Hi Bill, @liaonet, great to talk to you, nice to make the connection through Samantha Kelly. You are a ‘blow in’. Are you’re living in Cork because your partner is from there? No we both come from Australia. We chose to live here because its beautiful and there is a lot of joy in choosing where you are going to settle down. We found west Cork through a mutual friend who recommended it even though she was living in Limerick. We love living here its what we chose and we checked it out first in Mid Winter six years ago so we were up for the weather. What do you like about living in Cork? West Cork is highly diverse and free thinking and very accepting. What would you say to someone considering moving there? Don’t wait! Property prices wont be this good for much longer. 4 and 20 pies with white crow tomato sauce. I get really bad asthma in Australia and so prefer not to be there as basic survival there requires constant medication with steroids. What is the Cork tech scene like? Cork has a good tech scene and an even better biotech scene which we are working to make the best in the world with our programs indie.bio and also the new public Forma lab in the city center. We founded CoderDojo at the National Software Center in Cork and we are launching a BioCoderDojo for kids as well now so they can become talented in BioCoding. With WeForest, you are doing fantastic work reforesting large areas of the world, which brings so many positive benefits, CO2, livelihood, it’s a great initiative. Thanks and most importantly trees make clouds and increasing equatorial cloud cover by as little as 2% could halt global warming. You can read about the science in my new book “Forests, reasons to be hopeful”. How do you chose where to set up? Ireland has very low levels of forestation relative to historic levels. Are there any plans for Irish reforestation also? We fund impoverished village women to become permaculture food foresters so that they interweave the forests with their livelihoods thus protecting the trees indefinitely and lifting themselves out of poverty.For these women increasing their income is a matter of life and death. If they can earn money and save the world at the same time its a rather dignified way of bettering themselves. While I would be very happy to see more forests in Ireland it would be scandalous to have to raise charity money in my view to do reforesting here where people can afford to volunteer and also buy the trees directly. My family went out into a field and planted trees with a local initiative in Clonakilty and it worked fine and so I think people should get together and do tree planting rather than rely on an NGO here. 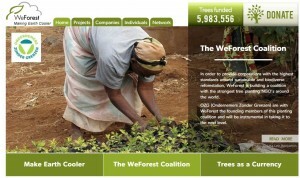 From the WeForest global map it looks more like a project for developing countries. Considering the massive deforestation in Mexico and Central America, Chiapas, Guatemala and the Mosquito Coast, is this somewhere the project might expand into? Or is the political situation too unstable? We need a certain level of stability to assist and we need volunteers to go to such places to educate the people in Permaculture techniques and so if the volunteers are up for coping with the unrest we can go into more unstable areas. That said the money to plant the trees must end up getting through to the women as well. You are involved with positive initiatives in St Kitts & Nevis. How are they going? 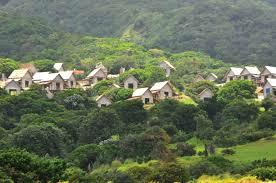 They have a plan to become the world’s first sustainable nation primarily through geo thermal power and their model resort Kittitian Hill which is a carbon neutral resort. The concepts of permaculture are mentioned in the project above. As this was originated in Australia, is it something you are familiar with? If so, do you do any yourself on your own garden? We have a 5 acre small holding that my wife runs as she is an agricultural scientist and yes we use permaculture techniques wherever possible. 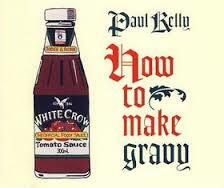 My wife also helps running the local GIY chapter in Clonakilty. Bill Mollison’s books are of course part of the core of permaculture. That said the movement was inspired by a Japanese rice farmer who wrote and excellent book which you can find free online called “One Straw Revolution”. 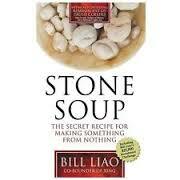 Its a deeply spiritual book about how to partner with nature to get the most benefit as a farmer. It’s a great book, by Masanobu Fukuoka, you can down load a copy here. Also watch Bill Mollison’s permaculture ideas on youtube here. 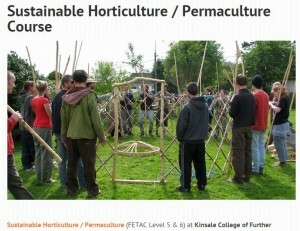 Kinsale College has been known for a long time as a great place to do the permaculture foundation course, is that something you have any links with? CoderDojo a great idea. What ideas do you have on how to get more kids interested in things like CoderDojo? There is one rule for kids at CoderDojo “Be Cool” and we have huge diversity with roughly 50/50 girls and boys attending in over 130 locations in Ireland and all for free as CoderDojo is non profit. Many kids in Dublin now do Scratch in primary school. Is it similar in the schools in Cork also? Get them to a CoderDojo as fast as you can so they can learn to program practical stuff like web sites, apps and even games. How does Codordojo approach informing parents about it so they can see the benefits of their children attending? Or is it via the kids word of mouth? We try to get as much visibility as possible so parents bring their kids along to try it and see if their kids are up for coding or not. SOSVentures. This looks like great fun, as you cover an interesting range of technologies and fields. How do you decide which things to invest in? They need to be able to prove they can make promises and keep them. That is a short list for starters. Are you seeing any trends in the type of start ups launching in Ireland and looking for investment? I’m working very hard to make a new trend of independent bio tech companies. Do Irish startups tend to be more or less interested in certain things? Unfortunately I do see a lot of “me too” investment requests where people come to me with their new take on groupon or some other flavour of the month. I also see a lot of people who come looking for money who have spent a million or more on their company and have no traction. There is a big debate about whether Irish startups are scaling well enough to become global players? Is there anything you think they could be doing better / differently? 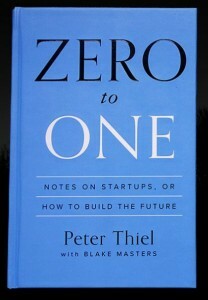 Read my book Stone Soup and then read Peter Thiel’s book Zero to One and then you might have a chance of scaling. Scaling is actually a function of many things including market demand, being new, branding and visibility. We’re starting to see some interesting tech businesses grow out of Cork. Do they need to move to California, or can they continue to grow from Cork? They need to be where they can totally win a small market then they need to be wherever the largest market is. SanFrancisco has a lot going for it and its difficult to win that geography first because its so expensive to operate there and the competition for talent is insane. Do you think there is scope for a web summit style event in Cork? We had a successful world indie bio conference already this year and I want to grow that to become a significant event every year. So next year we are making our Indie.bio demo day part of a big celebration of indie biotech globally. Work / life balance. You have kids, how do you manage the time demands that brings, and also managing everything else? We home school as well. It’s much easier these days as mine are all teenagers and so keep to themselves a bit more now :-). 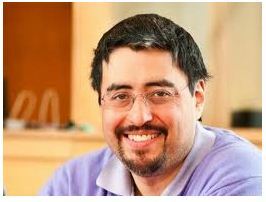 Like Paul Allen, Bill Gates, Warren Buffet, and a lot of other people who have had a number of successful ventures, you have turned to wide ranging initiatives to help humanity. What’s your own particular philosophy on this? I am committed to a world that works for every living thing. that means working on multiple areas with a holistic approach. What good is fixing education if the environment no longer supports human life? How can you fix the environment without fixing education? It’s not chicken and egg, its do both now! Once you see that your limitations are actually self imposed and you take responsibility for your life it’s not a big leap to take that empowerment and take on some responsibility for our world. In other words start by making your own life work and then expand. How much legacy should be left for the kids, to ensure they have healthy balanced lives, but not so much that it causes problems for them? My kids are inheriting debt so they know they have to get off their bums and work for their future. That said what I want our kids to inherit is a world where we have repaired the damage we have done to our planet. A world where inclusion is the norm and a world where their opportunities are as vibrant as those we had growing up. On a lighter note, Cork is a hot bed of Ultimate Frisbee. It’s been suggested that this sport provides a great breeding ground for entreprenuers. Is it a sport you played? Any thoughts? I play golf and am a member at the Old Head. I think sport is a good thing and yet Maths, Science and Coding need more emphasis particularly for girls. Is there anything else I should have asked you? No, I think we covered a lot of ground. Thanks again for your time and some really interesting answers and resources.